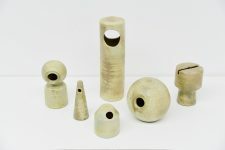 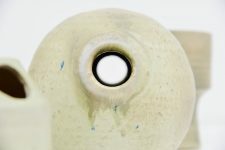 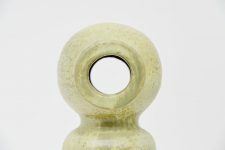 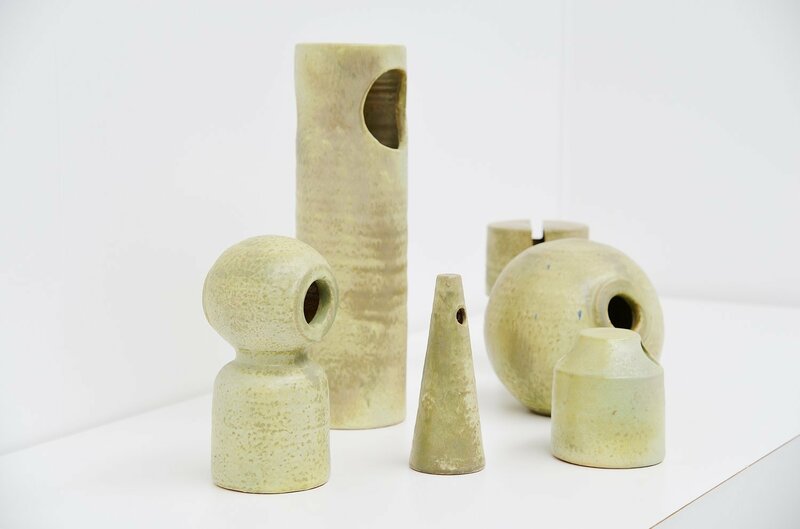 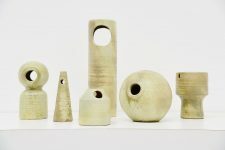 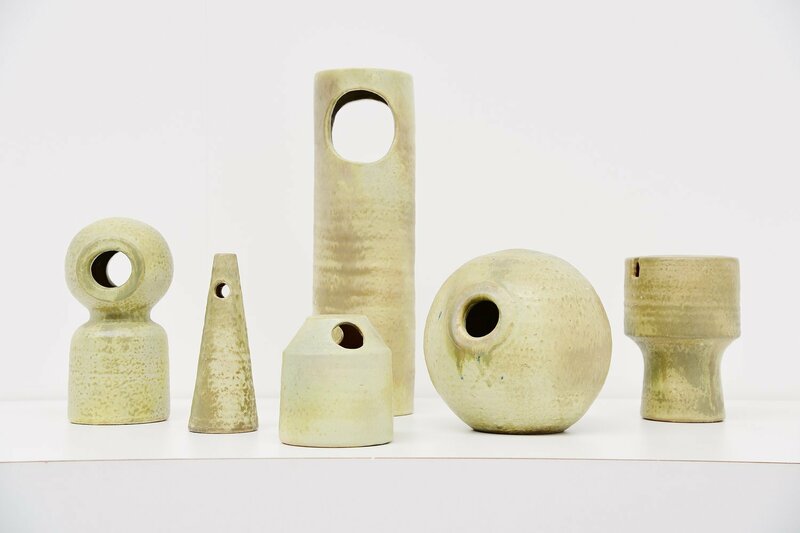 Very nice set of experimental ceramic vases made and designed by Mobach, Holland 1970. These vases/objects are hand made prototypes I think more like studie forms. 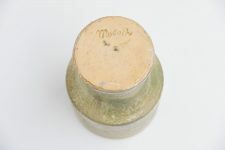 One off vases made in the Mobach factory, all vases are signed. Highly decorative set of 6 vases, only sold as set of 6.